Our final days as a family of three are here...the countdown is officially on! We have been busy gathering all of the baby things that we will need, planning his nursery (I've got some time since he won't have a nursery until our house is complete) and showering Kendall with lots of love and adventure. I've mentioned in my last couple of Bumpdates (here and here) that I'm determined to keep Kendall feeling as much love and appreciation as ever. I cannot even imagine how her precious little mind will absorb the fact that she will no longer be an only child after almost five years. I do know that she is VERY excited for him to be here and she can't wait to teach him to walk and talk. Ah, she makes my heart smile! In our efforts to celebrate our last days as a family of three, we decided to make some fun memories. One of those memories started with visiting the circus! 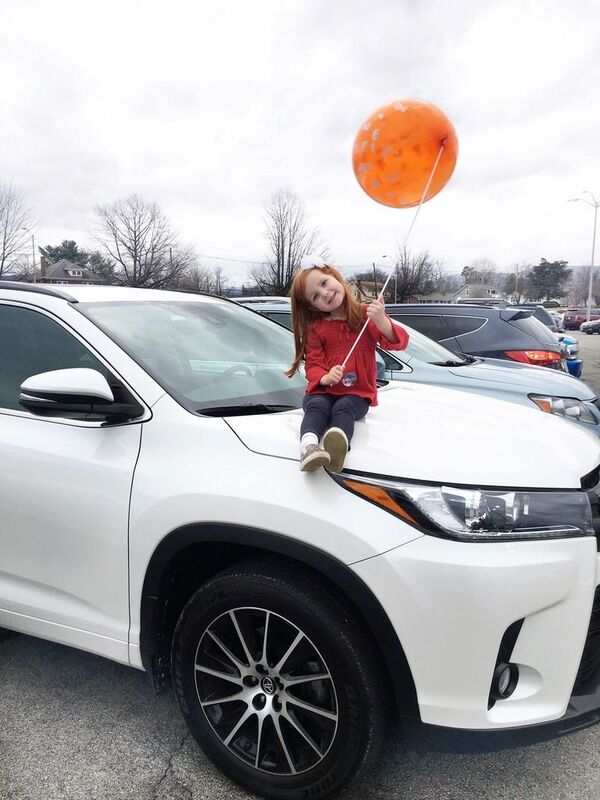 Thanks to Toyota, we got to test out a 2017 Highlander for a week and we were able to take the car on our adventure to the circus. The circus we attended was about an hour away from where we live so we really got to enjoy the car on the drive. Kendall was just as excited about the new car as we were because there was so much room! Even for a small four year old, she appreciated that there was plenty of extra leg room for her. We all appreciated how much space was inside the car after the circus too - we bought K a large balloon and we did not have spend the ride home getting hit in the head 67 times with said balloon. Thank you beautiful Highlander for being so spacious. The circus was a blast for us all. This was actually the first circus for both Tolar and Kendall and it has probably been 15 years since I've attended one. The acts were incredible, the tricks were amazing and seeing my child's face full of happiness and excitement for a solid three hours was totally worth the visit. 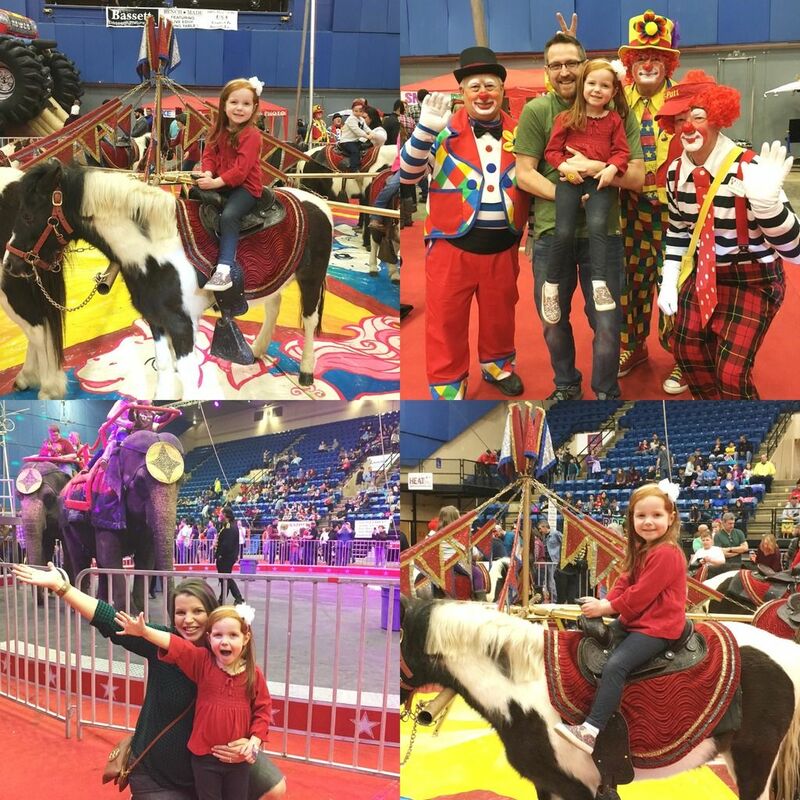 She got to ride a pony, say hi to lots of clowns, enjoy some cotton candy and more! The day was thrilling for all of us. I hope this is a memory that K will remember. I have to tell you, that adding to our family has definitely gotten Tolar and I both thinking about the purchase of a new car. We both drive compact cars and know that eventually a bigger car will be needed. Also, since we are parents, safety is a top priority for us. 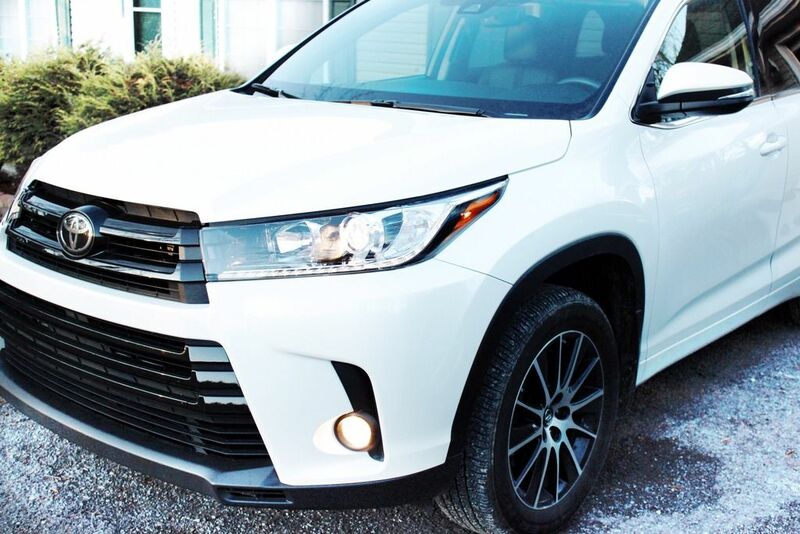 The Toyota Highlander exceeded all of our expectations. As I mentioned above, it was quite roomy. With tons of space, leg room and a place for third row seating (or a HUGE trunk), we quickly fell in love with the car. It was also great to see just how much space would still be available even once we add in a second car seat. If you take anything away from this post, know that the car was super spacious! -When a car is in your blindspot, a yellow light on either side mirror lights up letting you know someone is there. Genius! -If the car starts to cross any lines on the road (without a blinker), the car will beep letting you know that you are heading into another lane or onto the side of the road. Of course, when you use your blinker the car doesn't beep because it knows you are turning or changing lanes. -The cruise control has a setting where it will maintain a certain distance between you and the cars in front of you. 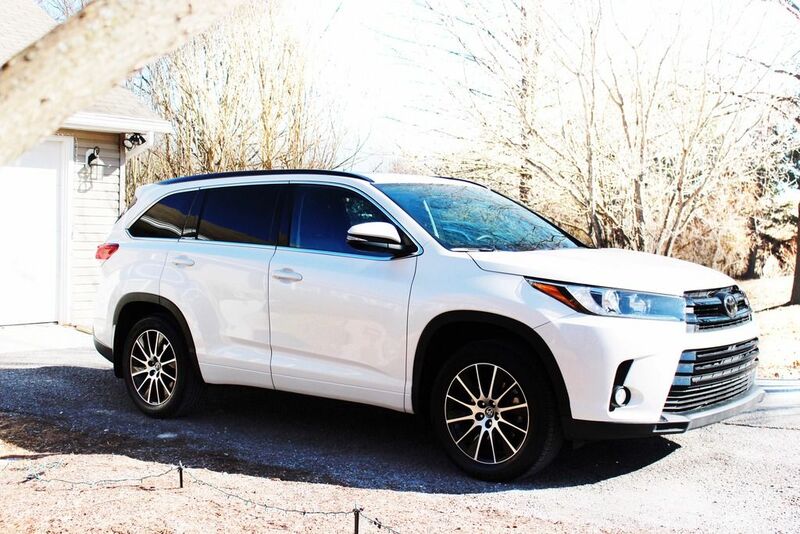 Even if you have your speed set to 65, if a car is close in front of you, the Highlander will automatically slow down to keep a safe distance between you and the other car. You can select the distance yourself. I also really enjoyed how much storage space was inside. While we tested out the car for the week, we went shopping for some baby items and had plenty of room to cram big boxes and multiple baby things into the back trunk. To put it simply, the trunk space was HUGE. Also, the center console between the driver and front passenger seats was very roomy and allowed me a place to keep my purse. I certainly loved that! 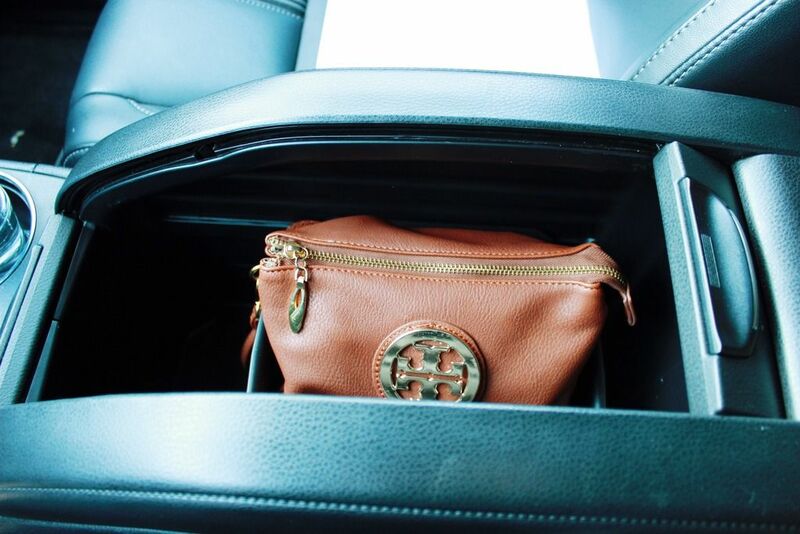 It kept my purse out of the way without having to inconvenience a front passenger AND I could close the console so no one could see my purse if I was out of the car. 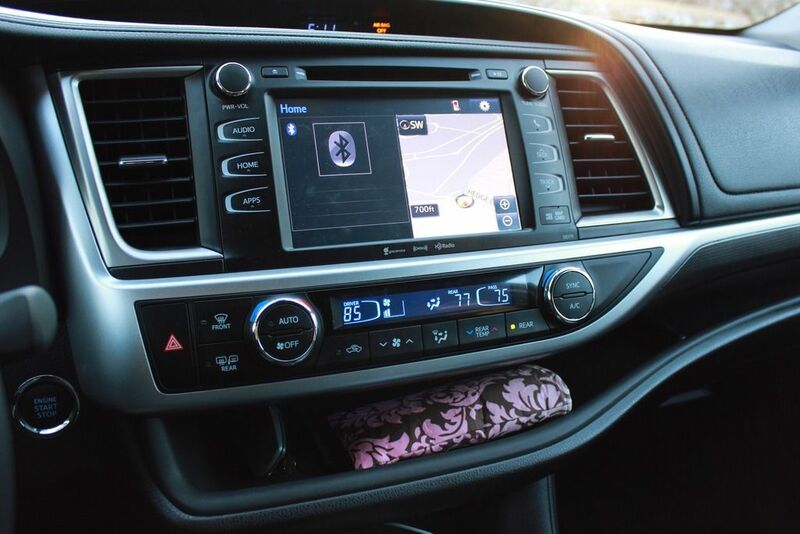 The car proved to be great on a trip; with a super smooth ride, easy to control steering wheel, comfy/roomy seats, a user friendly control panel where we could easily connect our phones to Bluetooth, multiple temperature controls and more. It was also a great car for everyday life. Kendall and I took the car on all of our errands and daily activities. Getting her in and out of the car was a breeze, so much better than my compact car. I LOVED not having to bend over to unbuckle her car seat. To put it simply, I was super sad to return the car - all three of us were! 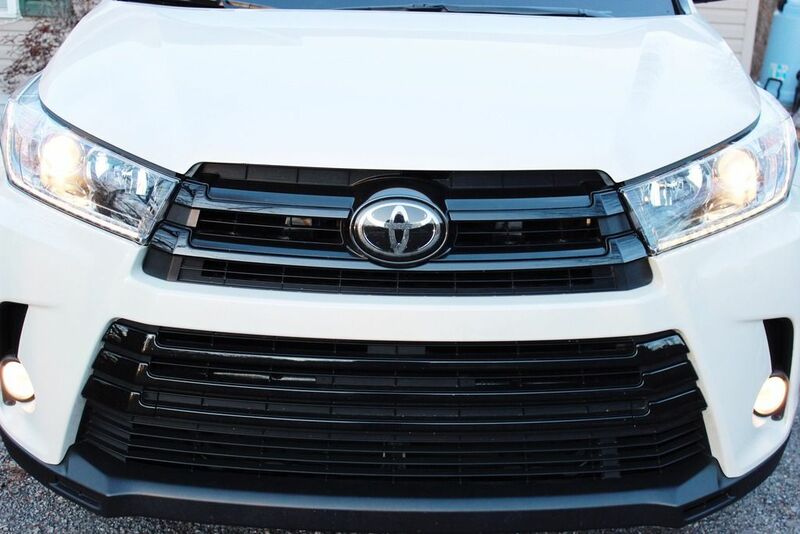 It was so much fun getting to test it out and imagine what it would be like to have this car as our family expands. It was also fun to get to spend so much time with my girl running around town taking care of errands. I probably drove more the week we had the car than normal because we loved it so much and wanted to take it everywhere. We are still continuing to plan adventures and make memories with Kendall before her brother arrives. While we had the car, Kendall and I both went to the salon for haircuts. She feels like such a big girl at the salon and is always full of questions. 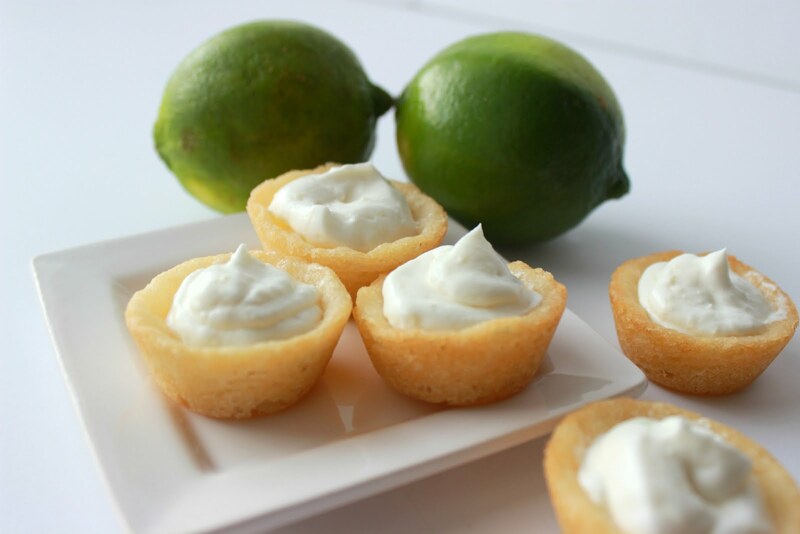 -Ice Cream or Frozen Yogurt for lunch! What are some activities that you would add to list to make special memories with your child? We plan to continue the one on one time with her even after brother arrives too. 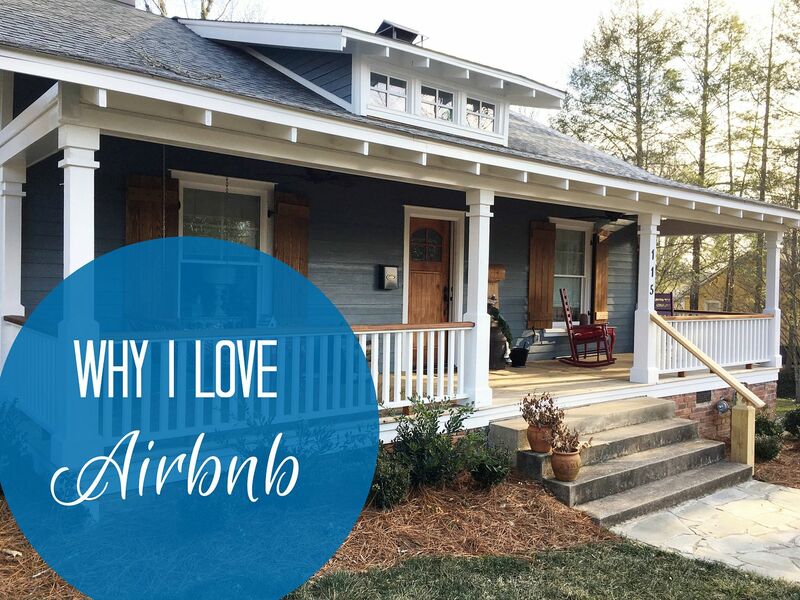 I'd love to hear your ideas, so please share them in the comments below! How fun. That you got to test drive the car for the whole week. Sounds like you guys had a fun time at the circus.